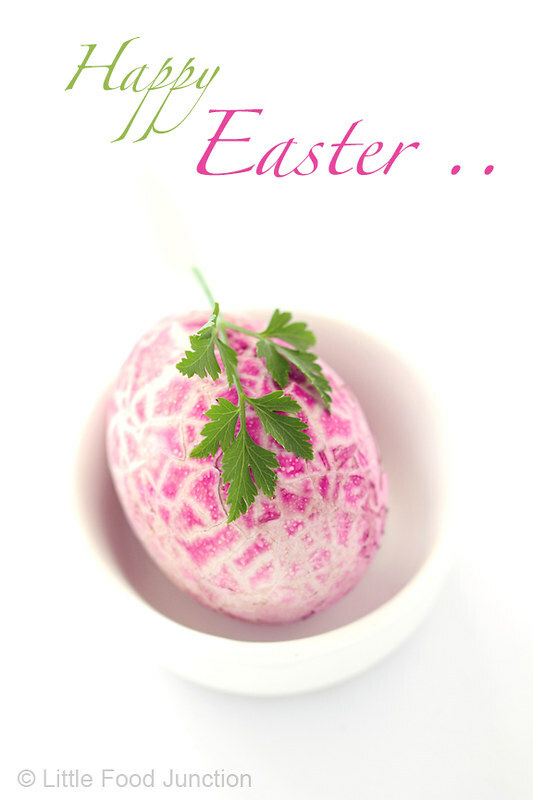 peace and joy of spring ..
Little Food Junction wishes all its readers a very Happy Easter !! bees and butterflies beautifully reflect the picturesque aura of spring . holes with choco chips . 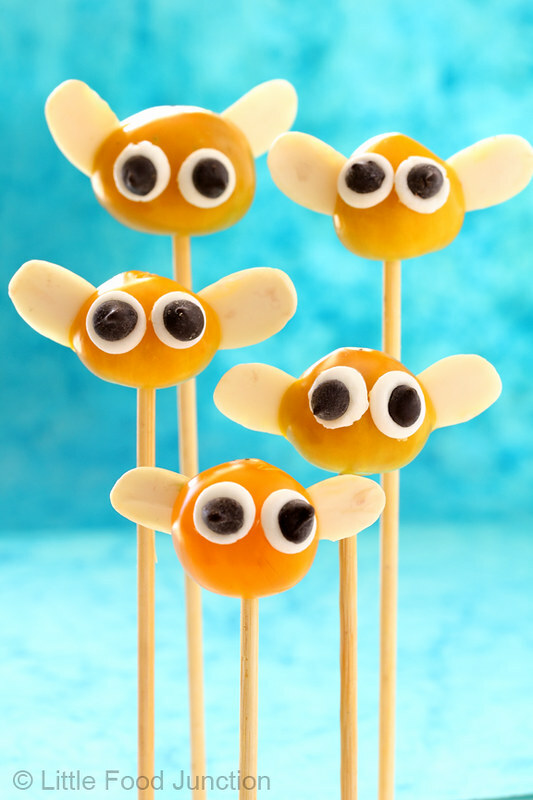 peanut butter stick the eyes . Happy Easter to you and your family. The bees look too cute. We don't get capeberries here , pl could u suggest some substitute . Jessy u can substitute it with any yellow berries, yellow heirloom tomatoes, mini kumquats, yellow raspberries. Scooped balls of melon, mango or yellow watermelon would also work well.